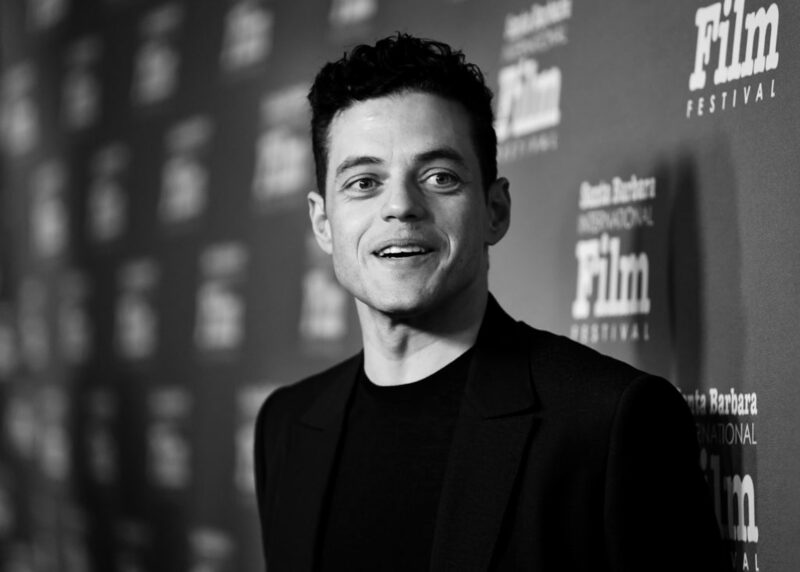 Day 3 at the 34th Annual Santa Barbara International Film Festival ended with an intimate tribute to Oscar nominated Actor Rami Malek who received the Outstanding Performer of the Year Award for his performance in FOX’s 2018 release, BOHEMIAN RHAPSODY. Malek arrived to the tribute with friend and presenter Joe Mazzello and co-star Lucy Boynton. After baring the rainy night in Santa Barbara on the red carpet, Malek sat with The Hollywood Reporter’s Scott Feinberg for an in depth conversation and look back at his career. Malek was introduced onto the stage and greeted with a roaring standing ovation from the sold out theatre. Malek took the audience back to his beginning sin acting which included a realization that he had no career in politics or debate and should rather take up a suggestion from a teacher to give dramatic interpretation a try. When asked to give a tease of what is to come he said, “It’s the last season,” and smiled before taking the next question.